Travellers Archive meets the adventure and surf photographer Chris Burkard to talk about his new movie, surf passion, his travels to remote destinations and, above all, what's really happening off the mainstream. Isafjördur in the wild Northwest of Iceland. The air is clear, the sky is dusky, the temperatures far below zero. Ice floes sail over the water. Snow-covered peaks dominate the Western fjords, as glamorous as always and proud like giants, right there, at the end of the horizon. All of a sudden a surfer on a surfboard appears, all wrapped up in a thick wetsuit. He begins to paddle. Slow at first, he moves onto quicker, more hectic movements. Right until he gets up on his board and rides the wave towards the beach. As if the look at this was not picturesque enough, the Northern Lights appear in the sky, illuminating this dark night with the most beautiful green-blue colour nuances. The perfect moment. The perfect setting. The perfect photo. Screams suddenly fill the background. Happy ones, joyful ones. They sound as if someone just hit a world record. Screams that could only come from children. Real and authentic ones. But these screams come from Chris Burkard, the photographer and mind behind this scene – a scene, which may normally be the one big dream of a photographer, something surreal that may never happen. Well, up until now. Euphoria does not know any borders from now on. The US-American Chris Burkard is not an ordinary photographer. If he was, he probably would not have almost three million followers on Instagram. The outdoor and surf photographer shoots his photos mostly with a certain amount of adventure. In every single photo that he shoots, there is one exciting hidden story. Chris Burkard lives for the unknown, for places that go far beyond the mainstream, like he uses to call them himself. Sometimes he finds them right in the middle of the unpredictable nature of the Lofoten, sometimes in the most hidden places in Russia. He is always searching for this one perfect shot, the one, that will take him to the perfection of a composed photo painting. Diving into one of those snapshots is now possible – and even listening to the story behind it is feasible. It’s the one, in which Chris Burkard travels together with five surf professionals to Iceland – in search of the best waves. The remote Northwest of this island is sparsely inhabited, making it almost impossible to rely on the help of any local. Except for this one Icelander, who is crazy enough for this journey. 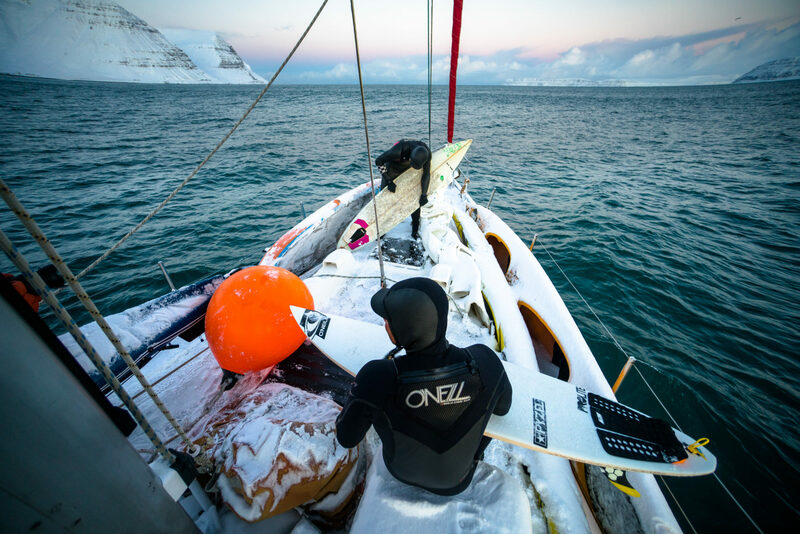 Chris Burkard documented the entire trip and called the evolving movie “Under an Arctic Sky” – a film that takes the audience through a 40-minute trip, leaving not one single arm goosebumps-free. A film, that shows the passion for surfing and that makes it possible to feel a real adventure – within every single second of the movie. Up until this moment when everything comes together, a moment for eternity. Travellers Archive had the possibility to listen to Chris’ stories personally and to ask him the one or the other question: about his surf movie „Under an Arctic Sky“, about the fact, why he simply does not feel alive at certain places and about the spot that he always dreamt about surfing at. TRAVELLERS ARCHIVE: Your movie „Under an Arctic Sky“ was shot in Iceland. A place, which is not only super cold, but that can also be very remote. 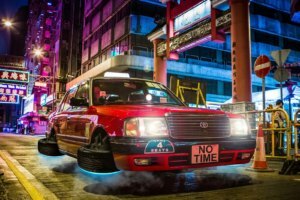 What’s your thing with those locations and the real look at them – why do rather go to remote places and quit all those mainstream destinations? CHRIS BURKARD: It’s pretty simple. I’ve spent time in many of those “mainstream” places; Thailand, Bali, Australia, etc. Eventually I realized those places weren’t giving me the satisfaction I needed. I didn’t feel alive in those places. I started exploring the cold, because I wanted to know what else was out there. I wanted to get away from places people had shot and documented. The cold is really just an emotion and you can control it. TRAVELLERS ARCHIVE: Within your travels, was there a specific situation where you were really scared or got yourself into a rather dangerous situation? CHRIS BURKARD: The most scared I’ve ever been was sitting in a jail cell in Russia after being interrogated for 6 hours at customs. I was later deported to Korea before being allowed back in the country. TRAVELLERS ARCHIVE: You work as photographer, you are successful on Instagram, you got featured in numerous media outlets and sponsored by Sony – What’s the thing that you are most proud of? CHRIS BURKARD: My TED talk is above and beyond the work I’m the most proud of. Having the opportunity to stand on that stage and deliver a message that I felt people wanted or needed to hear was pretty powerful. I really felt like I gave a lot of myself in preparing for that and I was really happy with the result. That was the most scared and alive I’ve ever felt. TRAVELLERS ARCHIVE: Travellers Archive stands for authentic travel stories, for documentaries and real travel. We deliver notes from within – through photos and words. Our mission is to tell people the truth about certain places that they may have never thought of travelling to – what’s your mission and how do you transmit it? CHRIS BURKARD: I have always emphasized to photographers and creatives to have a mission statement and stand behind it. For me, it’s all about inspiring people to embrace the unknown and seek out opportunities to travel beyond the safe and routine in hopes that they come away with a better appreciation for the world around them. TRAVELLERS ARCHIVE: You worked as photographer for “Surfer Magazine” – as a surfer yourself, if there was one place you would love to surf, where would that be? 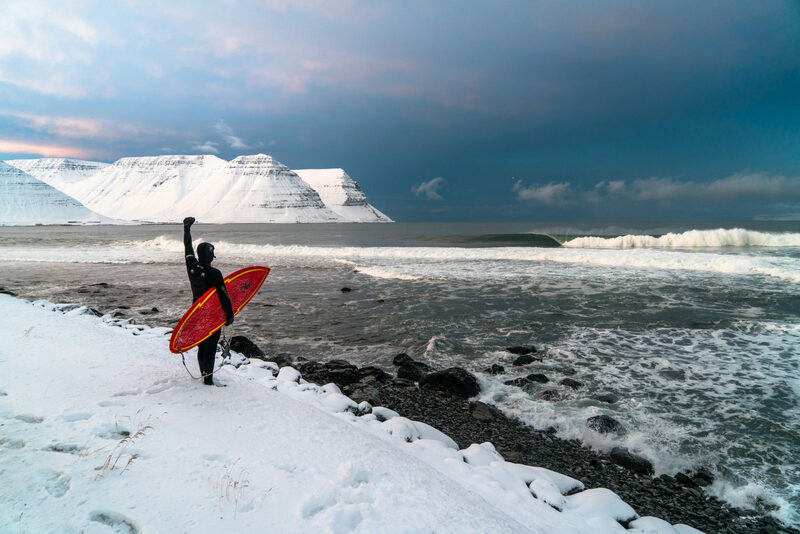 CHRIS BURKARD: There is this tiny bay I have been to in the Faroe Islands. There is a little right hander there that I dream about surfing. Hoping to get back someday. TRAVELLERS ARCHIVE: Travelling is a huge, if not the biggest part, of your job. Does it work to combine both – making money and travelling, while still being open to the beauty that is surrounding you in foreign countries and remote locations anywhere in the world? CHRIS BURKARD: I never travel anywhere that isn’t for an assignment. I try really hard to never waste those carbon emission for simply just gallivanting. I love traveling with a purpose. To tell a story or bring an assignment to live. To bring these experiences to life around the world is what Iive for. I think you can for sure do both, but it’s about never sacrificing your experience for the shot. All photos used in the article are courtesy of Chris Burkard. I am not sure why but I couldn’t find his Instagram but I would like to. His photos are captivating so it does not surprise me that he has nearly 3 million followers and I like the sound of his movie ‘under the arctic sky’. WOW….very impressive spot for a surf adventure….and the aurora borealis picture is terrific. Hey Heike, thanks for your comment. We do love his photos too – simply stunning!